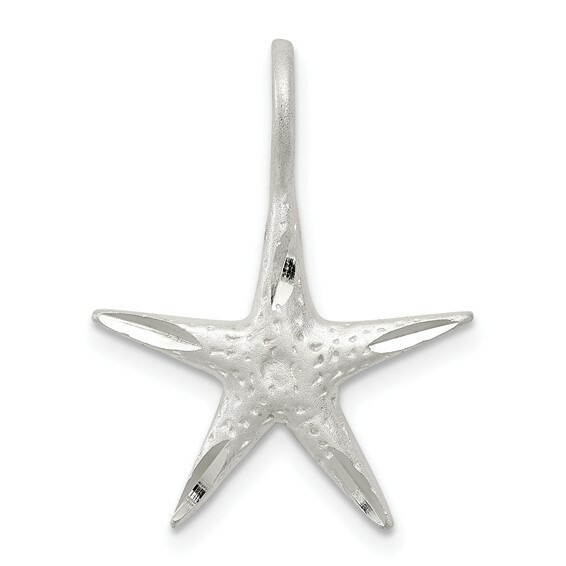 Sterling Silver starfish charm has a polished and satin finish. Weight: 1.2 grams. Measures 5/8 inch tall by 5/8 inch wide. Fits up to a 4mm wide chain. Import.